Bell Media has announced today the official launch of its Crave app for iPhone, iPad and Apple TV 4/4K, with the latter coming earlier than expected (it was slated for November 15th). According to a press release, the company says a 50% off promo starts today until December 10, 2018, offering a discount for new customers for their first four months on a monthly subscription, or an annual subscription (12 months for the price of nine). The Crave app also gains offline downloads for movies and TV shows, with eligible titles showing a download icon. There are two monthly Crave packages available, priced at $9.99 per month or $19.98 per month. The more expensive package includes full HBO content and movies. New iPhone and iPad customers can subscribe to Crave with an in-app purchase. 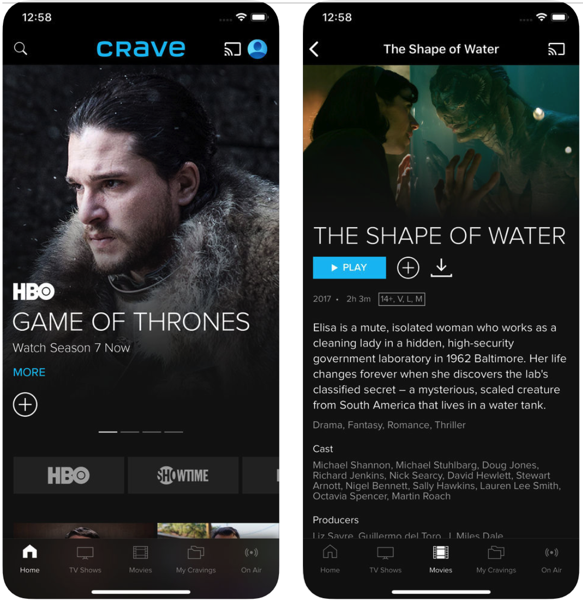 Existing subscribers can sign into the app with the cable provider credentials, then add Crave + Movies + HBO to their subscription via in-app purchase. For Apple TV 4/4K customers, once they launch the Crave app, they then select a package and sign in with their Apple ID to complete their purchase. Earlier today, it was noted Crave would soon add a 4K streaming content option. 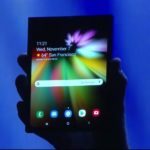 Formerly known as CraveTV, the new Crave was announced earlier this month, combining content from The Movie Network and adding HBO Canada streaming content to Canadians for the first time, without the requirement for a cable TV package or Internet plan from Bell.